If the expression “you make your own luck” is true, Dublin, Virginia’s BimmerWorld Racing is on the hunt for the recipe. After another promising weekend in the Street Tuner division of the GRAND-AM Continental Tire Sports Car Challenge series, held at Barber Motorsports Park in Leeds, Alabama, the BMW experts came away with a slight pit in their stomachs after contact with other cars left the team with little to show for their efforts. 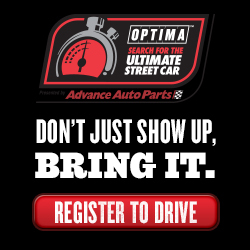 BimmerWorld stormed the 2010 Street Tuner division, taking second in both the teams’ and drivers’ Championships, but after three rounds of ST racing in 2011, team owner James Clay says he’s still waiting for fortunes to smile on his GRAND-AM ST effort. The breakout stars of the ST class this year have been the Exclusive Management pairing of ace driver Gregory Liefooghe and rookie sensation John Capestro-Dubets behind the wheel of the No. 81 BimmerWorld BMW 328i. Starting the season off with a podium at Daytona, the duo appeared to be on pace for another podium at Barber, but a hit from behind while challenging for second place was all it took to send their blue BMW into the gravel trap. They would lose more than a dozen laps and finish 23rd in class. “I think we have all the ingredients to win a championship except for one so far: luck,” said Liefooghe. “We have one of the best driver combos in the paddock and also one of the best teams in the paddock, with my teammate John doing a great job to start the race before handing over to me. At the last race, even though we didn’t have the pace to win, we still had enough for a top 5. For Capestro-Dubets, Barber marked his third professional race of any kind, yet the San Diego native found himself fighting for the top two spots in the ST class. Even with an unrepresentative finish to the weekend, he says he’s happy with the promise that was shown in the No. 81 328i. Bill Heumann and David White also had a better finish awaiting them, but had to settle for 15th in ST after their BimmerWorld BMW 328i incurred damage from contact. “Barber was a very disappointing race for me as I was not able to bring home the finish that the team deserved,” said White, who claimed pole position at Barber for the ST race in 2010. 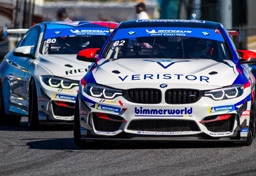 “The BimmerWorld crew put in a lot of hard work in the Alabama heat to give us the best cars possible and it was showing late in the race when the No. 80 BimmerWorld BMW 328i had great pace. Heumann, the 2010 MESCO Rookie of the Year, says there is no reason to hit the panic button or to change anything about how the team goes racing. With a bit of patience, the bad luck streak will pass. 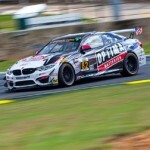 BimmerWorld has five weeks to prepare for the next race, held at the team’s home track at Virginia International Raceway, with updates on their progress and preparation available on www.BimmerWorldRacing.com. The broadcast for the Barber race can be seen April 16th at 2 p.m. ET on SPEED, and On Demand at www.SPEED2.com. No matter how much the BMW experts from BimmerWorld Racing want to conquer the GRAND-AM Continental Tire Sports Car Challenge Grand Sport division in their first season of racing M3 V8s in the class, the team will continue to chant the mantra of “it’s a development year” throughout the 10-race calendar.